On January 18, the Estonian Festival Orchestra will perform in Brussels at the renowned Beaux Arts Centre for Fine Arts (BOZAR). The second concert of the European tour includes the international premiere of a new orchestral work entitled “Mythos” by Erkki-Sven Tüür written and dedicated to the orchestra. The EFO European tour will also be centered around the music of Arvo Pärt alongside music by Brahms, Sibelius and Shostakovich. “Thanks to the Pärnu Music Festival we have become a part of the “birth” of a new orchestra. This season we are glad to share these experiences internationally. The Estonian Festival Orchestra’s debut Nordic tour in August was very warmly welcomed by audiences and critics alike and now, on the eve of the 100th anniversary of Estonian Independence, we have the opportunity to continue this journey across Europe. I hope that this month’s tour will give the orchestra even more recognition and,, in the coming years, more and more opportunities will be opened for new exciting encounters,” said Jorma Sarv, the head of the international programme for Estonia 100. Celebrating the 100th anniversary of Estonian Independence, the Estonian Festival Orchestra and Paavo Järvi will give concerts in six European cities this January: Brussels, Zurich, Cologne, Berlin, Vienna and Luxembourg. In August, they will be back in Estonia, once again performing at the Pärnu Music Festival. Coinciding with the tour, Paavo Järvi and the EFO release their first CD on Alpha Classics featuring Shostakovich’s Symphony No. 6, which will be performed in concerts across Europe. The Estonian Festival Orchestra was founded by Paavo Järvi, as the resident summer orchestra at the Pärnu Music Festival in 2011. 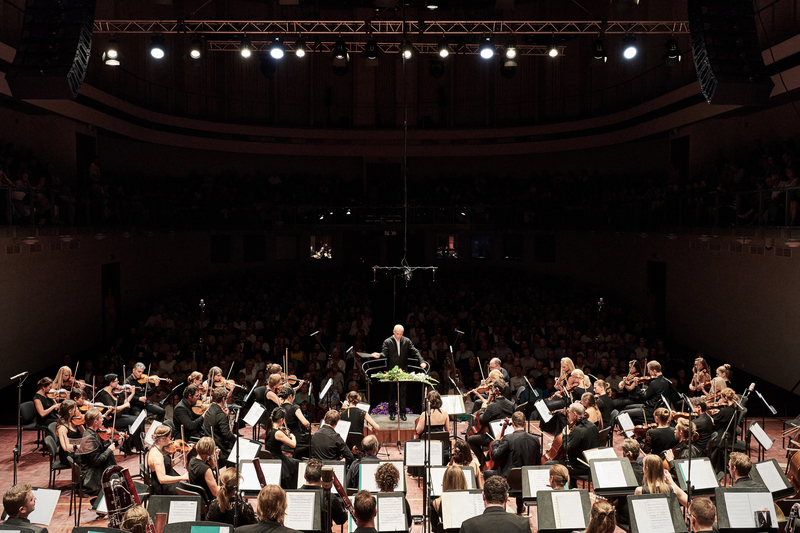 In 2017, as part of the “Republic of Estonia 100” programme the orchestra made its touring debut in neighbouring Nordic countries, dedicated also to the Estonian Presidency of the Council of the European Union. In 2019 the orchestra will spread its wings further afield with concerts in Asia. The Estonian Festival Orchestra brings together the very best of young Estonian musical talent, complemented by soloists from the top European orchestras. Paavo Järvi is both the founder and Artistic Director of the orchestra. The concertmaster is Florian Donderer, who is currently also concertmaster of the Deutsche Kammerphilharmonie Bremen. The Estonian Festival Orchestra has been noticed on the international music scene for its special sound and its performances have been long awaited.